Aqua, Collagen, Sodium PCA, Hamamelis Virginiana(witch hazel) water, Panax Ginseng root extract, Phenoxyethanol, Sodium Hyaluronate, Tocopheryl Acetate(Vitamin E), Arbutin, Methylisothiazolinone. 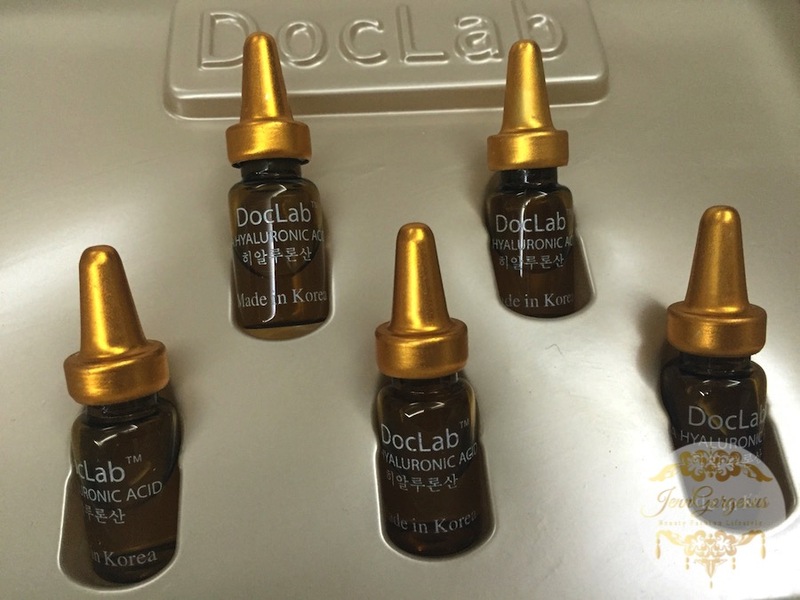 Doclab Ampoule comes in a set of 5 vials in a box. This is the new box packaging. All the information you needed is printed on the box. This is a product manufactured from Korea. I don't have the history of the company that make this ampoule. In each vial, it contains 2 ml of ampoules. It is easy to open, you just push the pointy cap. 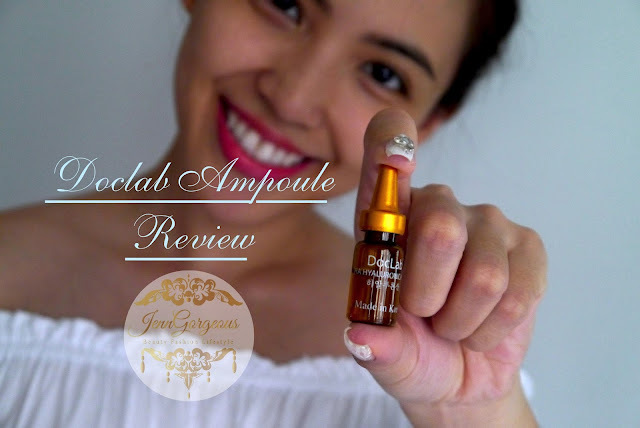 This texture of the ampoule is water based. So be sure to not pour out so much at one time. 2ml of ampoule is for one time use. Once you open up the vial, you can't keep it for the next day. This is how you apply it. 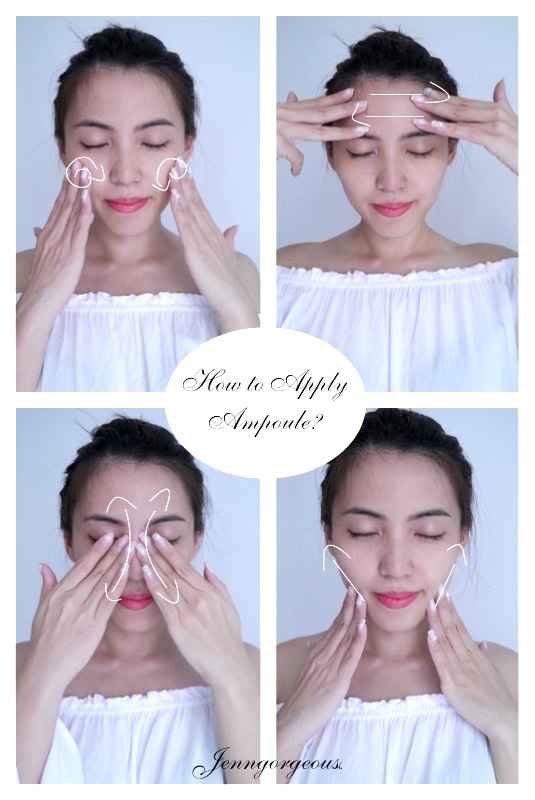 Step 1: Release an appropriate amount and distribute them to your cheeks, chin and forhead. Use your fingers to gently massage the cheeks to enhance penetration ( repeat 3 times) Step 2: Use the middle and ring fingers of your hands to massage up from the nasolabial folds to the ridge of your nose. Step 3 : Use all of yourfingers alternately to massage diagonally to enhance penetration(repeat about 3 times). Step4 : Use all of your fingers to massage up the chin line to enhance penetration and finisg up with the firming massage( repeat about 3 times). I like that it is a lightweight product. It won't make your skin feel sticky after applying it. It gives fair hydration to the skin. You have to massage the product it to help with penetration. After the massage you will feel your skin become more supple. 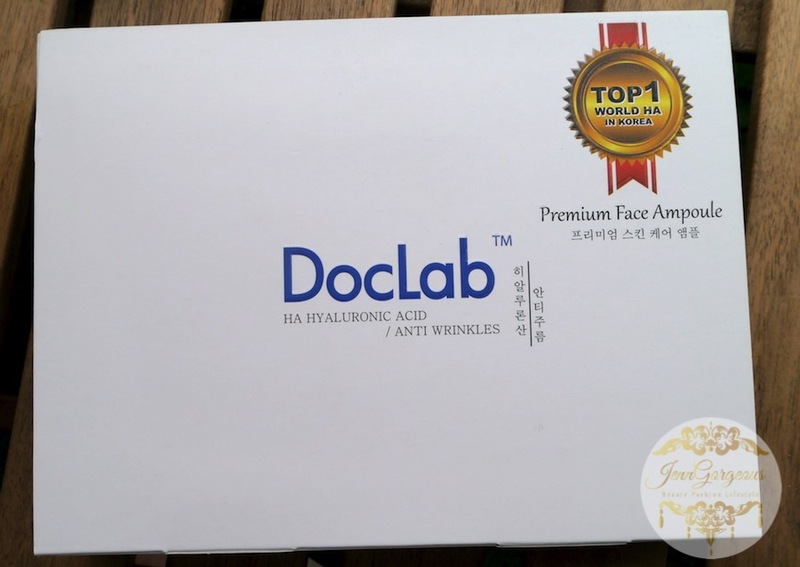 My skin does not have an allergic reaction after used. I noticed that it helps my makeup to stay longer on my face. 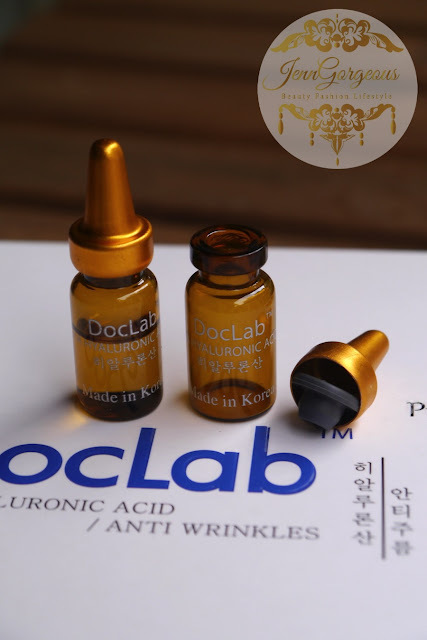 This little vial cost Rm27.60 which is quite expensive, so personally I would recommend to use it as an intensive treatment day before your important date, or it is a great additional step to do before having a full make up on (especially if you have important events). It does make a difference on your overall make up look. Because when your skin is in a good condition, any makeup that goes on your skin will have a better outcome. Disclaimer: This product was sent to me for my 100% honest review.